The mid to late 1800s was a very difficult time for the European wine grape industry. New pests associated with native North American grape species made their way to the "Old World" because of transport between the continents. I recently wrote about how a fungal disease called downy mildew nearly destroyed the industry until it was saved by the accidental discovery of an effective chemical fungicide. In today's post I'm going to talk about an insect pest that was introduced to Europe in the same era. It was a a root feeding relative of aphid called Phylloxera. Native American grapes are quite tolerant to it, but when it started attacking the roots of the European, Vitis vinifera grapes it began debilitating and finally killing the vines. It may have arrived in the 1850s, but was first recognized in 1863. This was an extremely traumatic economic and social crisis. More than 1 million hectares of vines were killed and many more debilitated before a solution was finally found. 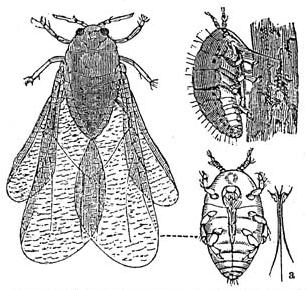 The solution to Phylloxera that was ultimately applied seems obvious with hindsight. Since the North American grape species had always tolerated this pest, why not use them as "rootstocks" and graft the revered European varieties on top of them? Grafting of desired varieties onto the roots of less desirable, but either more hardy or already established versions of the same crop was not a new idea. That had been practiced for thousands of years for many tree and vine crops. The ancient Hebrew and Christian scriptures are full of literary images based on the concept of grafting. It was an ancient, practical solution - but what it amounted to was a rather dramatic "genetic modification" of the roots of millions acres of European grapes (and eventually grapes around the world). Will treasured, traditional varieties like Pinot Noir grafted on this inferior sort of grape still make a classic red Burgundy worthy of each specific appellation in that district? Will this new reality mess with the quality that was traditionally achieved with complex blend of varieties in a region like Bordeaux? Will this new pest eventually overcome this solution? Should wine made from grapes grafted on American rootstocks be labeled as GMO? Ok. They didn't ask the last question in the 1800s, but there was a long-running and eventually meaningless debate about whether pre-Phylloxera wines were better. Flash forward to modern times. There is a nematode pest which spreads a grape disease called Fanleaf Virus. Once the soil on a given site has been contaminated with that small, roundworm parasite and the virus, if you plant vines there, even after ten years with no grapes, after a few years they decline and die. This is actually a problem nearly as old as Phylloxera, but fortunately it does not spread easily. Once people understood how it works, it has been mainly limited to certain areas in France, some other European countries, and a few places in California. The sad part is that there are significant hectares of vineyard sites in premium wine growing districts that can't be used to make great wine because of this issue. For many crops, one can just move away from such problems, but for wine the unique combination of climate and soil can create conditions which are legitimately important for quality. The term "Terroir" is used to describe that essence of place. 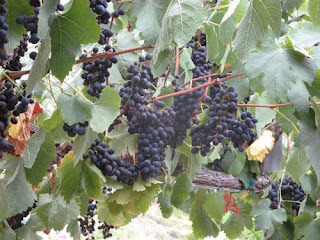 Fanleaf virus and its vector severely compromise the Terroir wherever they occur. With the advent of biotechnology there was the possibility of a better solution for Fanleaf contaminated sites that never existed before (there were some nematode resistant rootstocks but they were undesirable for other reasons). A rootstock was developed which was resistant to the virus using the same approach that saved the Hawaiian papaya industry. With that genetic solution, high quality grapes could be successfully grown on on compromised sites in a way directly analogous to how American grape rootstocks saved the crop from Phylloxera in the 1800s. One might imagine that with the tremendous esteem for terroir in the wine French wine industry, this means of rehabilitating highly valued vineyard sites would be eagerly embraced by the wine industry. As this post describes, back in the late 1800s, the entire French and European grape crop was replanted on American rootstocks which differ from the Vitis vinifera grapes by probably hundreds of genes or versions of genes. No one has ever needed to worry about "genetic contamination" from those millions of acres of genetically "foreign" rootstocks even though they have been present for over 100 years. If those industry-saving American rootstocks (which are normally only underground) ever happened to get the chance to flower and generate pollen, it still wouldn't matter because grapes are never grown from seed. They are always grown from cuttings or buds. That is also why you can plant blocks of different grape varieties side by side with no issue of "contamination." So why would rootstocks with ONE very useful gene inserted by genetic engineering suddenly be a contamination risk? There was absolutely no risk! As far as I can tell, the grape industries in France and elsewhere were sufficiently intimidated by the magnitude and ferocity of the irrational response to have decided to simply live with some of their best vineyard sites being compromised. If someone in those industries knows differently, please let me know.